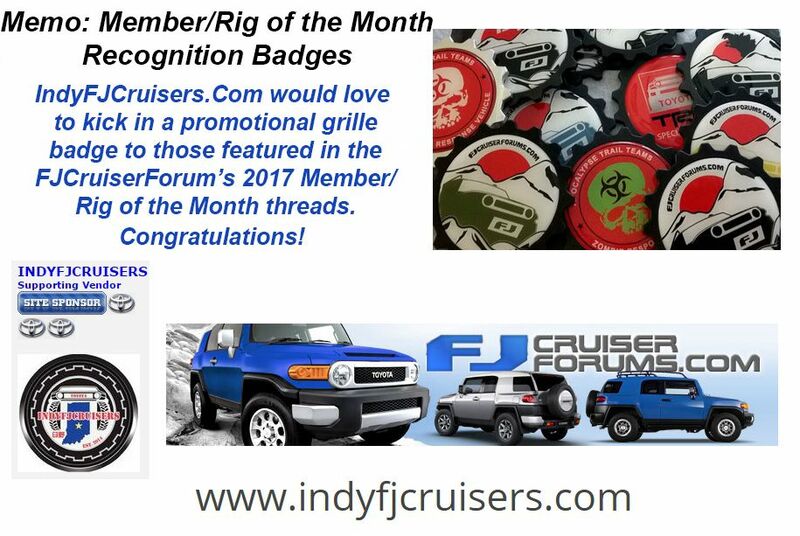 Toyota FJ Cruiser Forum > Toyota FJ Cruiser Forums Site Functions > Toyota FJ Cruiser News > December 2017 Member of the Month - cliffy!!! December 2017 Member of the Month - cliffy!!! We'd like to congratulate cliffy- Cliff for being selected as the December 2017 Member of the Month! Cliff: I’m forty-three married with two kids, a step son and we have custody of adorable three yr. old Addy who helps me mod the FJ. After high school I attended a tech school for over a year. I had my daughter at a young age so working full time while attending school combined with complete lack of interest in a classroom setting got me interested in military service. So the USMC became my higher education. After the Corps I wanted a regular job with time for family so now I’m a friendly neighborhood Mailman… I love it! I’ve met a lot of great people and get plenty of exercise. I love wheeling/mods, hunting, and shooting. 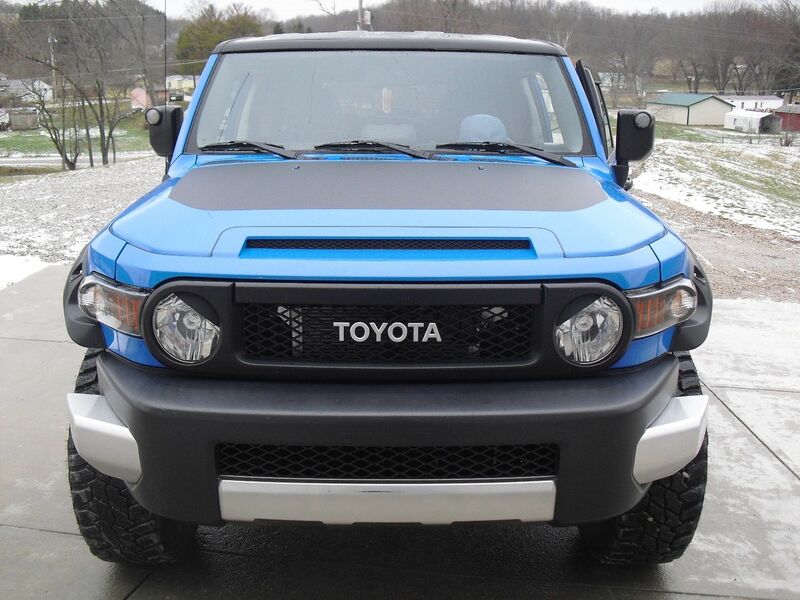 Cliff: I started lurking about the forum shortly after buying my first FJ in 2007. I wish I had joined back then. Of course, what I was looking for back then was ‘largest tires I can fit on my FJ’, HAHA. I joined for the s/c group buy last year…. Funny thing is I really enjoyed taking part in the discussions, giving advice with things I know a little about and reading about members adventures. What a great forum we have. Cliff: At first, I couldn’t afford a 4x4, so I often went wheeling/mudding with friends in old blazers, broncos, pickups, etc. nobody I knew in the beginning had even a Jeep. There were a few guys with the old Toyota pickups pre-Tacoma, no such thing as a Tacoma at that time. My first 4x4 was a Dodge Ram Charger. I really loved how the whole top was removable. Hint to Toyota for the future FJ. I did spend a lot of time banging around the desert in Humvees too. 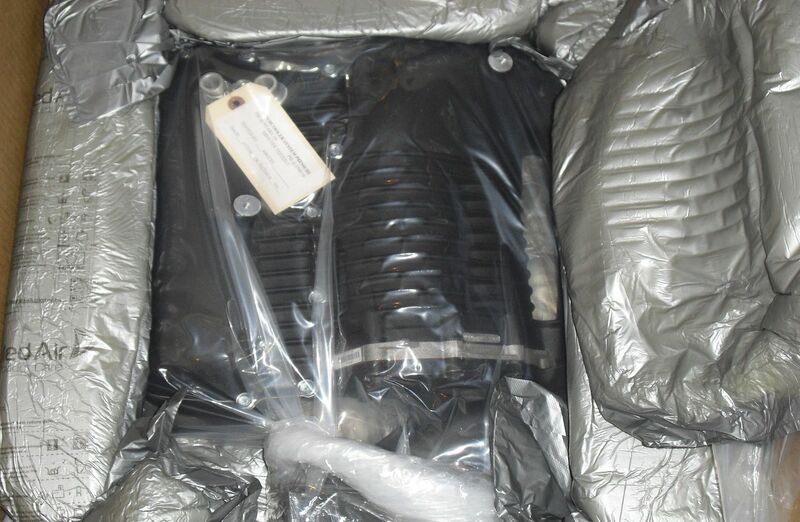 Cliff: I love that supercharger! Power is good, the only thing better would have been Toyota putting the 5.7L into the FJ… Instead of killing the FJ. 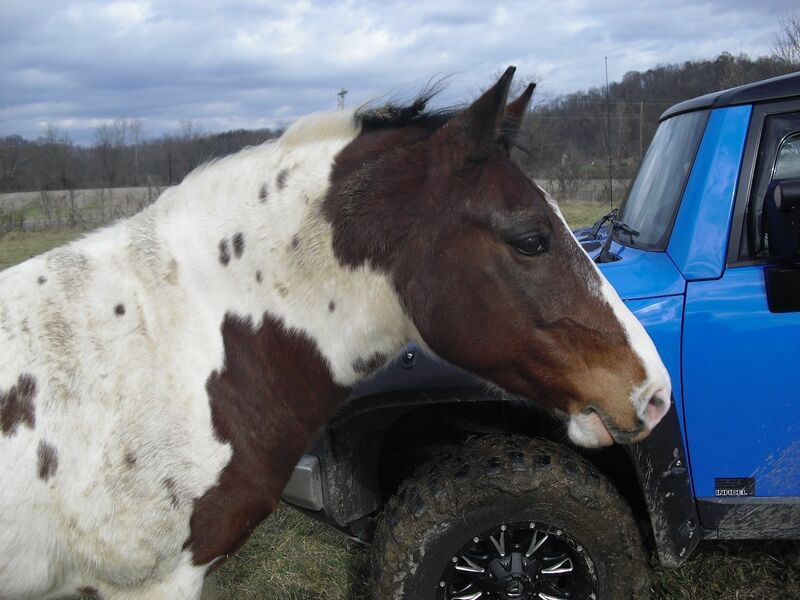 Cliff: I like the Bilstein 5100’s I used as my leveling kit, but I would like a more capable suspension. Since my FJ is my daily driver and I have a long commute the Billy’s work great and I’m not so tempted to tear up my ride to work. Beside that my beautiful wife helped me install them. 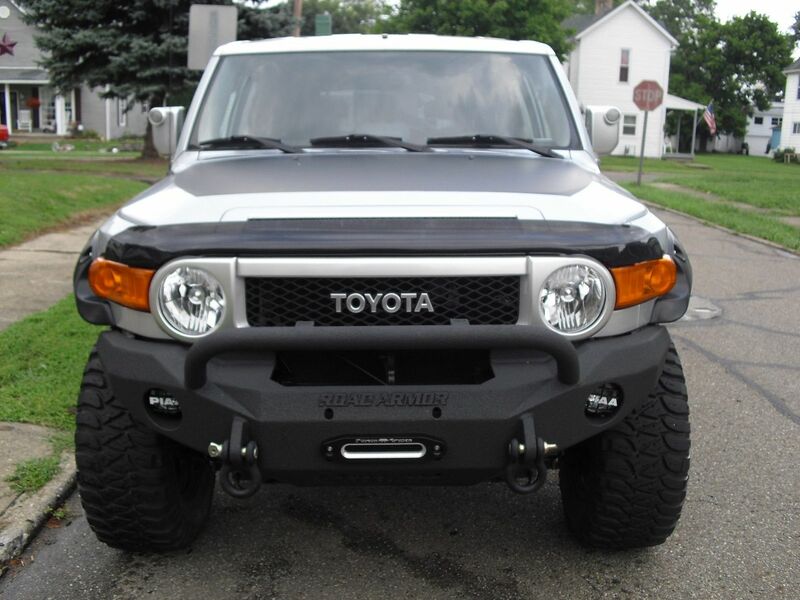 Hayden: Since you’ve owned two FJ Cruisers, is there one you’ve enjoyed more than the other for any particular reasons? 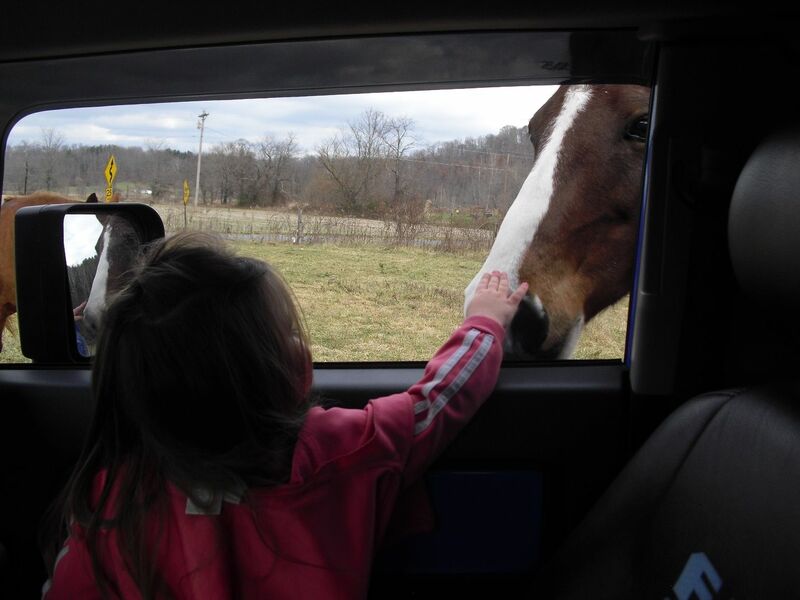 Cliff: Nothing like your first. Back then I was nervous buying the most expensive vehicle I’ve ever owned. I saw one in mid-2006 and new I wanted one. I drove to Columbus, OH to shop for it which was the closest dealers that had any in stock. I had to sell it in ’10 to build our house. When I sold it, it had 25k mi. My Voodoo had 34k mi when I bought it. So it was kind of like picking up where I left off… mileage wise anyway. I do prefer Voodoo Blue over Silver; all other options were the same. Cliff: I love looking at our members builds no matter which direction the build is taking. From extreme solid axle crawler with the only thing FJ left is the body, to a 2wd ultimate road trip vehicle with a plush ride. I don’t want to start naming all the members who have helped me with my mods only because I don’t want to leave anyone out. I will say whenever I need help all I need do is post a question or ask a member directly who has performed the mod, maintenance or repair and someone will rescue me. 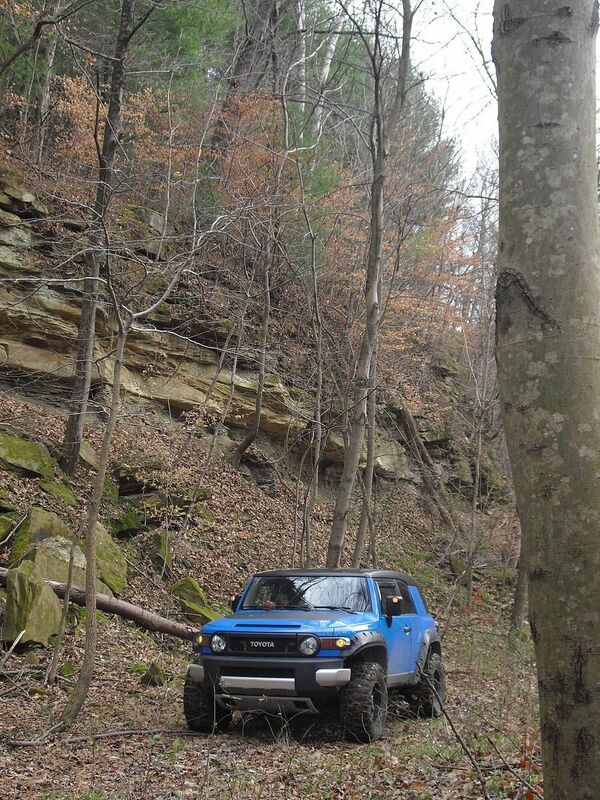 Cliff: My FJ is mainly my ride to work. I was tired of my gas saving Corolla and Rav4 and wanted back a rugged truck with more than ample head and leg room. We do use it to haul a boat to Seneca lake in SE Ohio. 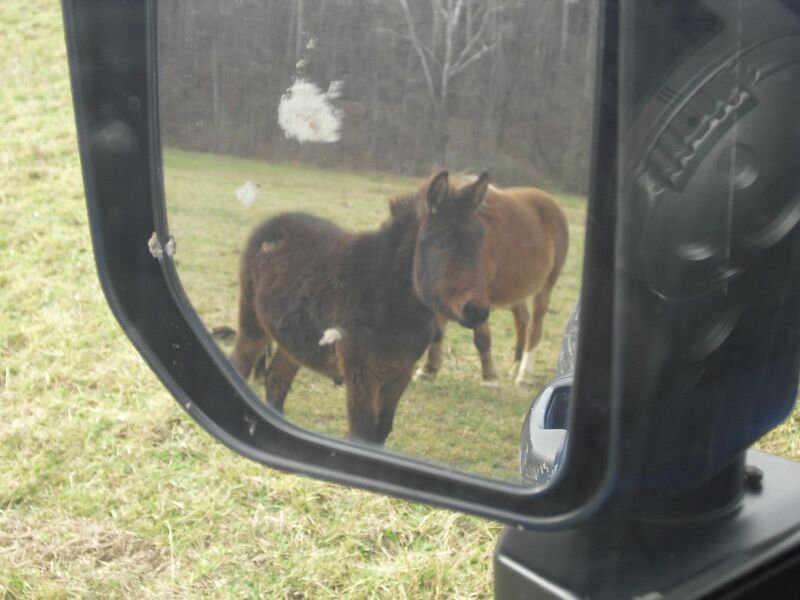 Our home has a few acres, is joined to my father’s small farm with access to over 100 acres. It has a couple of pretty knarly roads, hayfield and hills to climb, for ‘testing’ mods. Cliff: There is at least one group in central Ohio. I’m ashamed to say I haven’t met up with any of them. It’s hectic at home right now with unexpectedly getting the baby and my wife and I have a 6 yr plan to get our home paid off so we can retire early. So expendable time is rare right now. 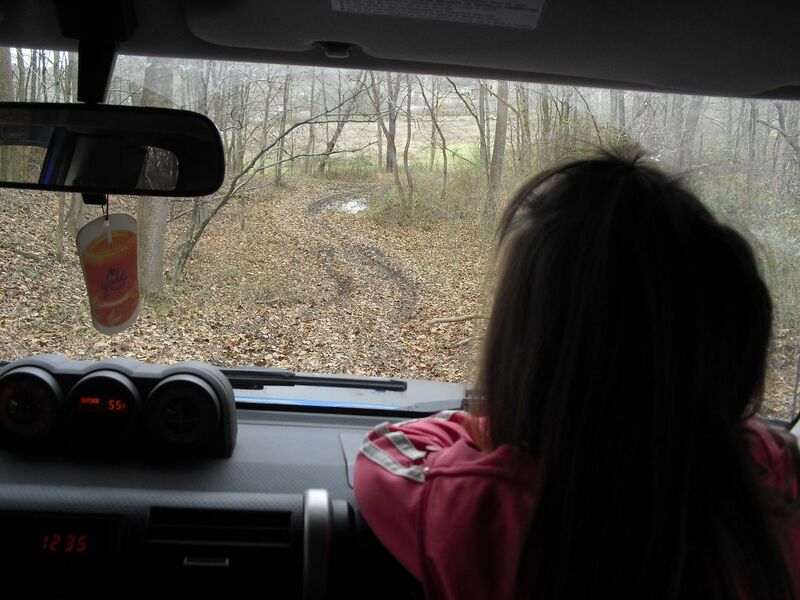 Hayden: What has been the most memorable experience with your FJ Cruisers? 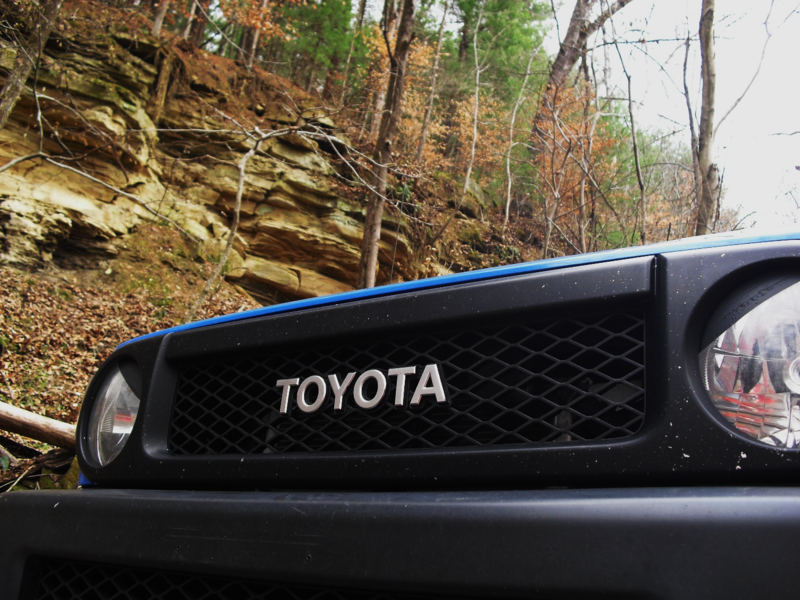 Cliff: We’ve had a lot of fun in the FJ, but I really love how other people react to it. I mean they’re not just another tan/gold bland car or truck… FJ’s have personality. Cliff: The friendly atmosphere and helpful members. I like the way we can joke with each other without anyone getting upset. We all make mistakes or cause damage with our mods or wheeling its nice people can talk about these incidents without getting uptight or critical. Cliff: For me the Forum is a wealth of FJ information, comradery and good clean entertainment. 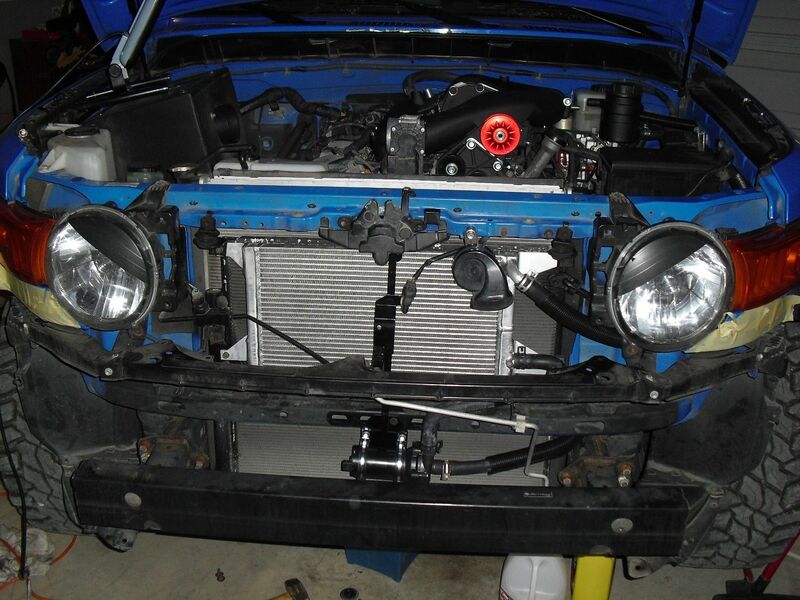 I would like to think my contribution is encouraging others to work on their own FJ, mods or maintenance. 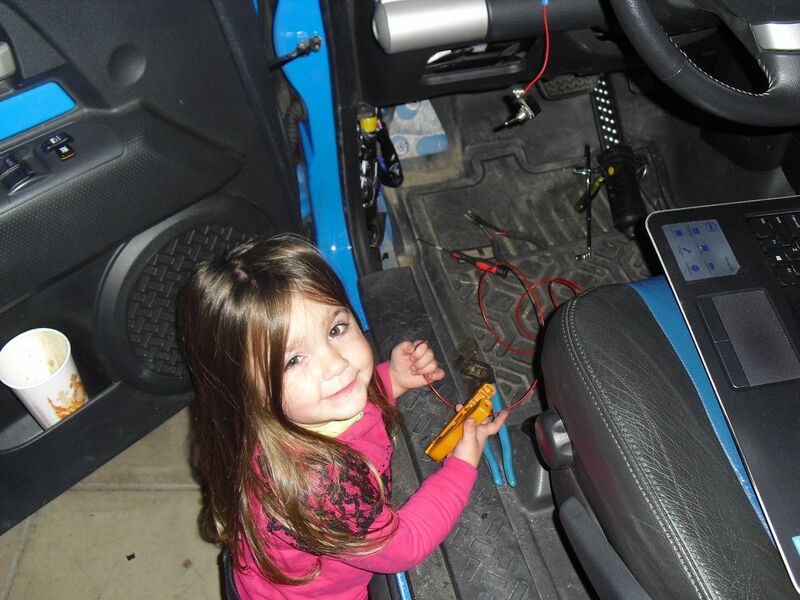 It opens a whole other world of FJ ownership. 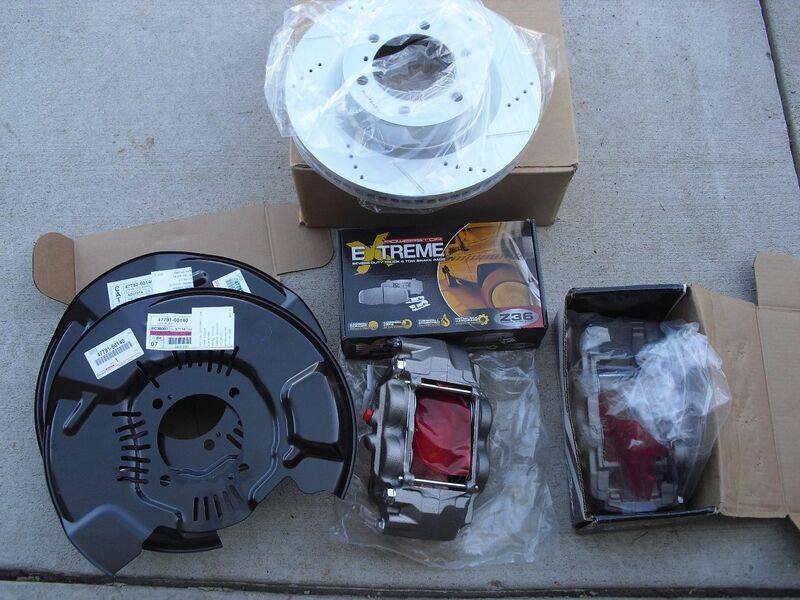 For me tinkering on the FJ is a hobby. 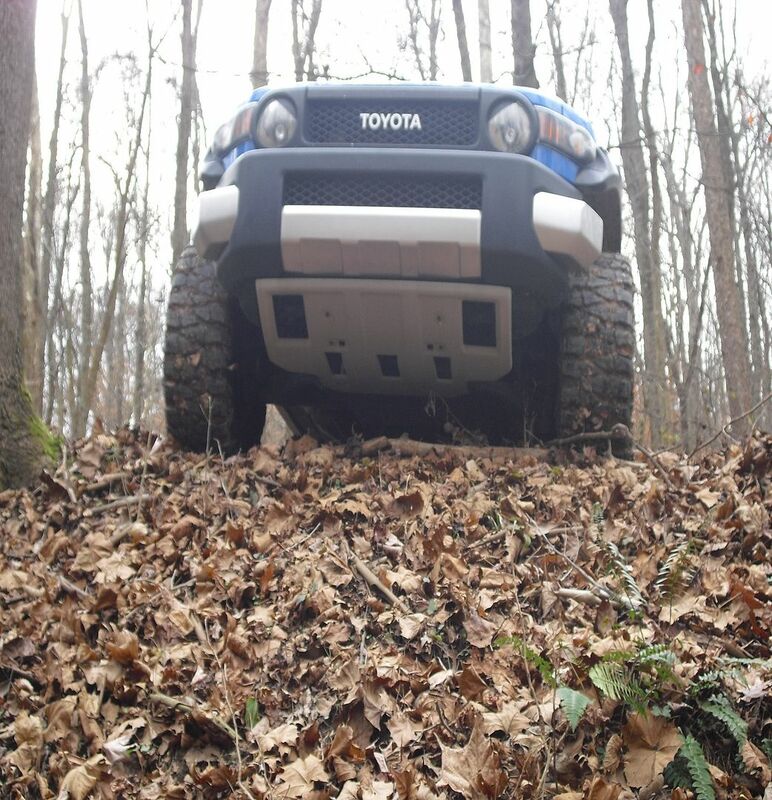 Hayden: If you didn’t have an FJ Cruiser to off-road in, what would be your alternative? 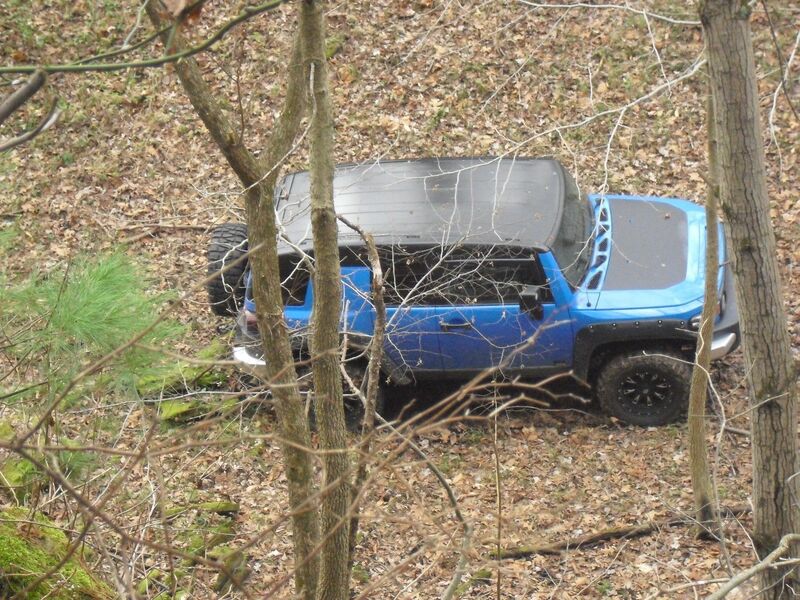 Cliff: I came back to the FJ for a reason, I love these vehicles. 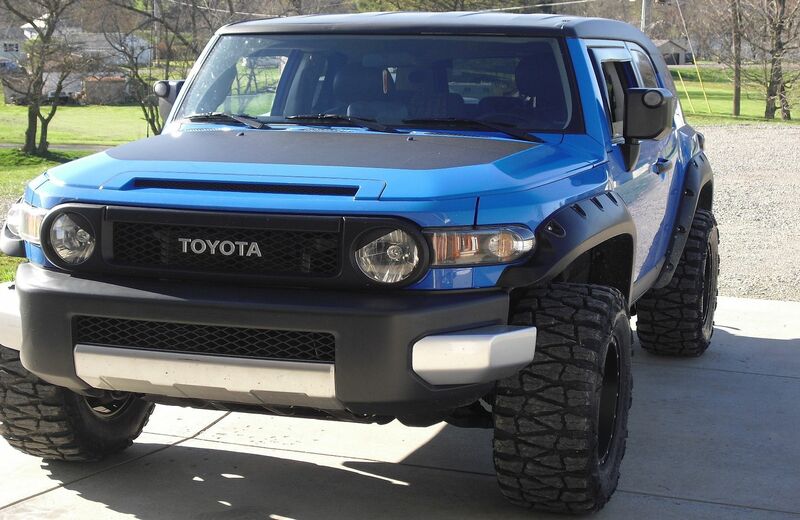 I had a Tacoma for a short time between FJ’s thinking it would be an FJ with a bed… it’s not. The Tacoma has a cramped cab especially foot room. The floorboards are shallow, and headroom is lacking. The 4.0 seems under powered at least in the ’11 four door long bed. 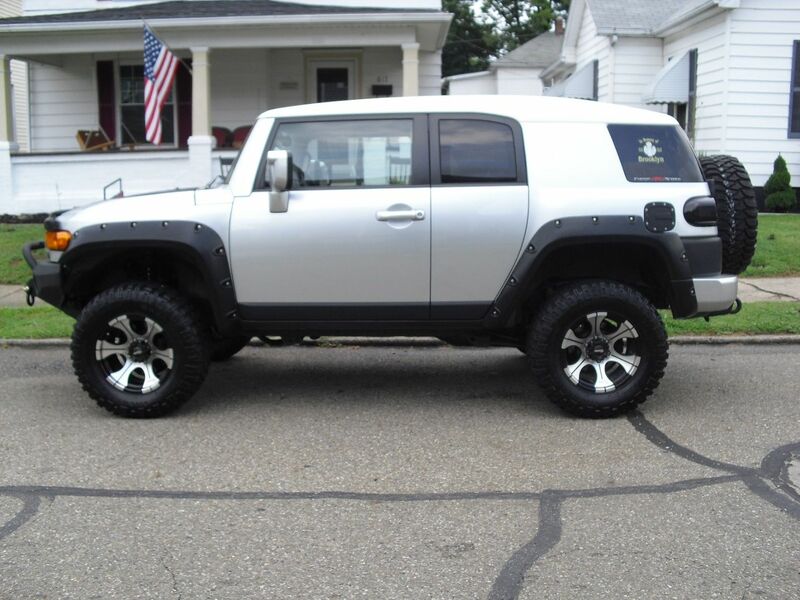 It also gets about 3 mpg less than the FJ even with smaller tires. Cliff: I don’t foresee anything ‘big’ in future mods. Once I add a proper switch I will have finished up the diff lock on demand and nannies off mod. So maybe a few enhancement mods like this. I will also be doing undercarriage maintenance in the spring. Cliff: I’m not a mechanic but have a lot of experience working on my own vehicles over the years. 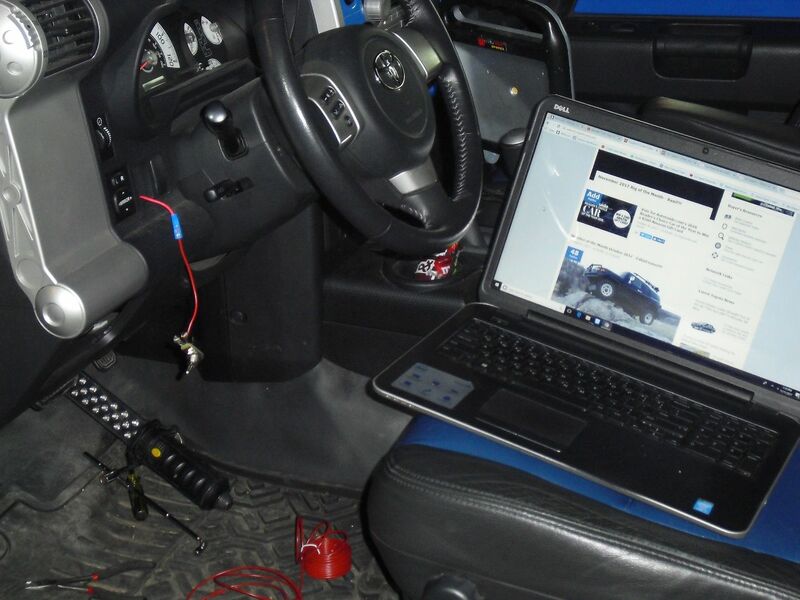 Do your research get advice and don’t be afraid to learn how to fix and maintain your FJ. FJCruiserForums and its members are a friendly helpful resource that can save your FJ, your money and provide you with an interesting hobby. CRAW, Sanderhawk, YoseFJ and 14 others like this. Re: December 2017 Member of the Month - cliffy!!! Congrats again @cliffy ! 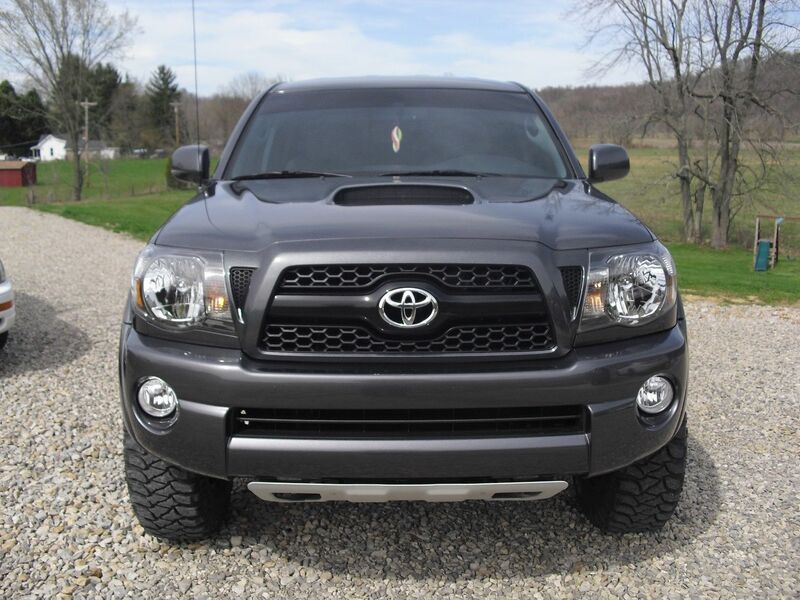 Be sure to contact IndyFJCruisers for your new grille badge! Congrats! Really enjoyed reading your story. Had an old Ram Charger at one point as well and what a tank they were! Nice FJ and I enjoyed reading your story. I am envious of your house full of kids... That is the one thing that escaped my wife and I.. You are one lucky man! Last edited by 10851; 12-01-2017 at 12:24 AM. 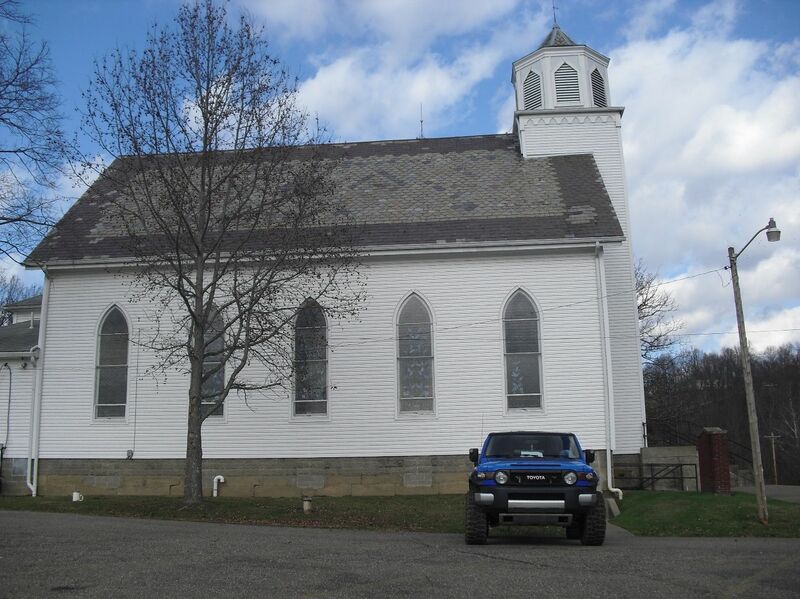 Some great pictures of your FJ, I don't think I've seen it in it's full glory before. And looks like you got yourself a great assistant.